I seem to have pretty much got on top of windows 8.1, except I seem to have a problem with scanning. Same scanner as before, but it seems to operate completely differently with the new computer. However, here's a couple of recent snaps to show I'm still here. 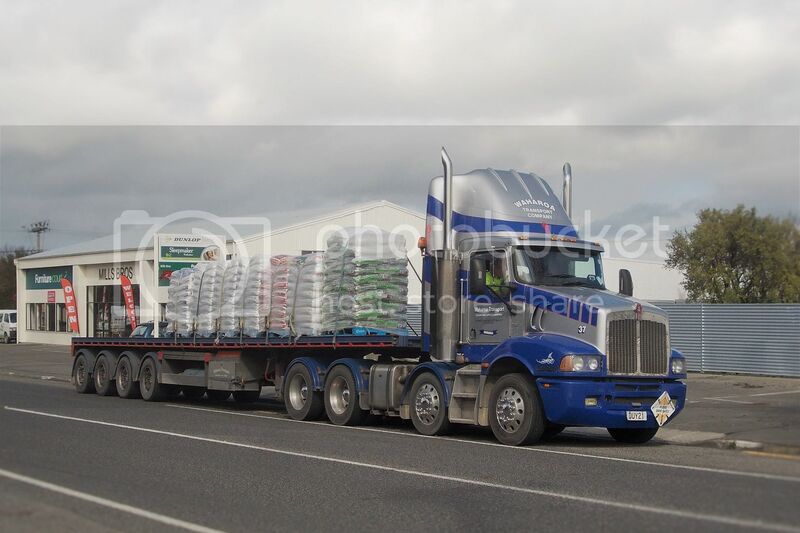 Waharoa Transport's Kenworth T404S from 2007 takes a break while the driver gets his log book up to date. 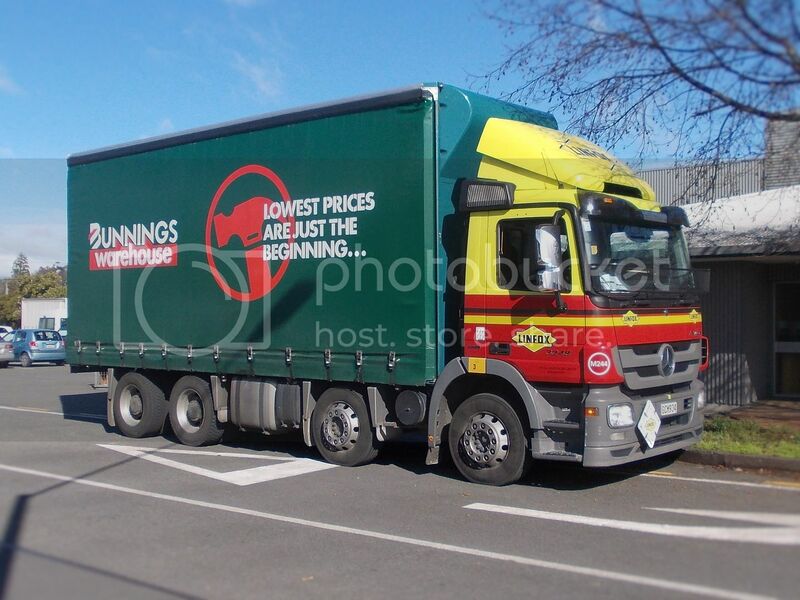 2011 Mercedes Benz 3248, in the familiar Linfox livery, unloads some stock for Masterton's Moore Wilsons warehouse.